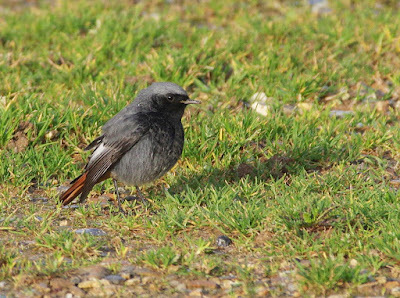 Since everyone else in Norfolk has seen this fabulous bird, I was secretly pleased when Linda told me she wanted to visit a couple of shops in Sheringham this morning. 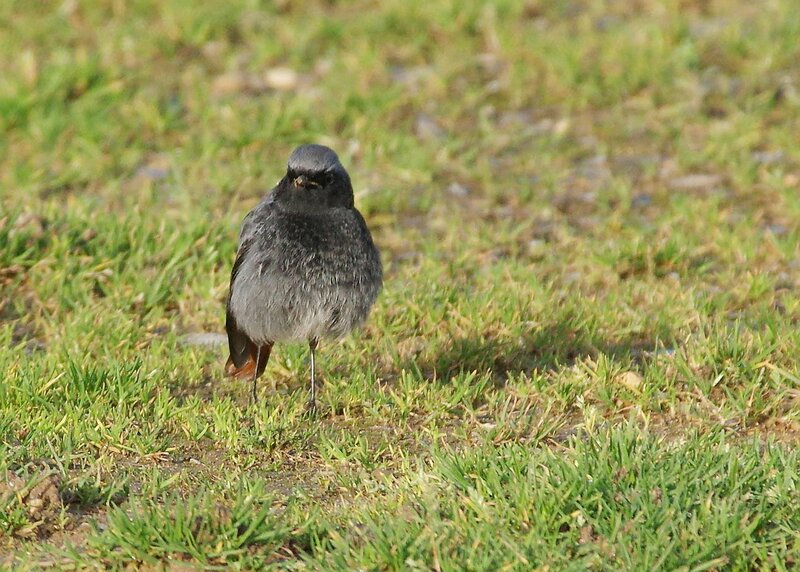 We decided to park by the seawatching shelters (just because it's free!) 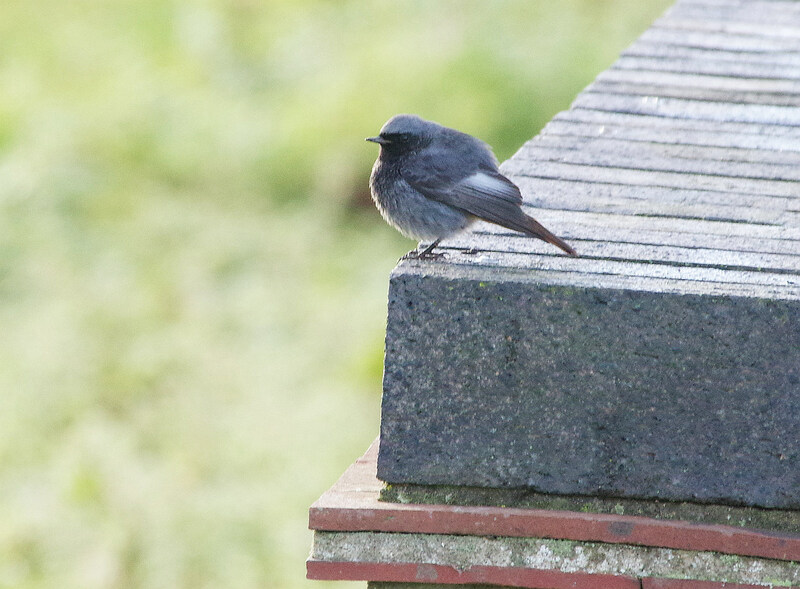 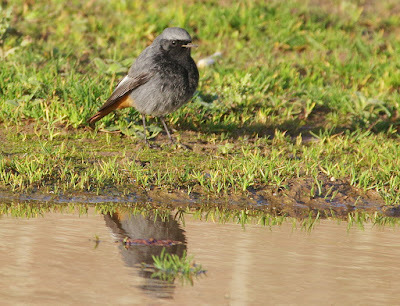 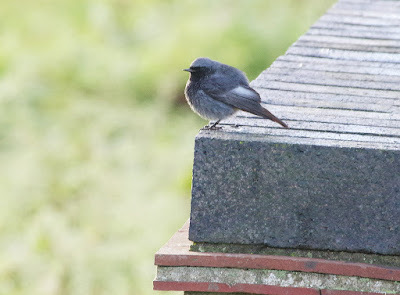 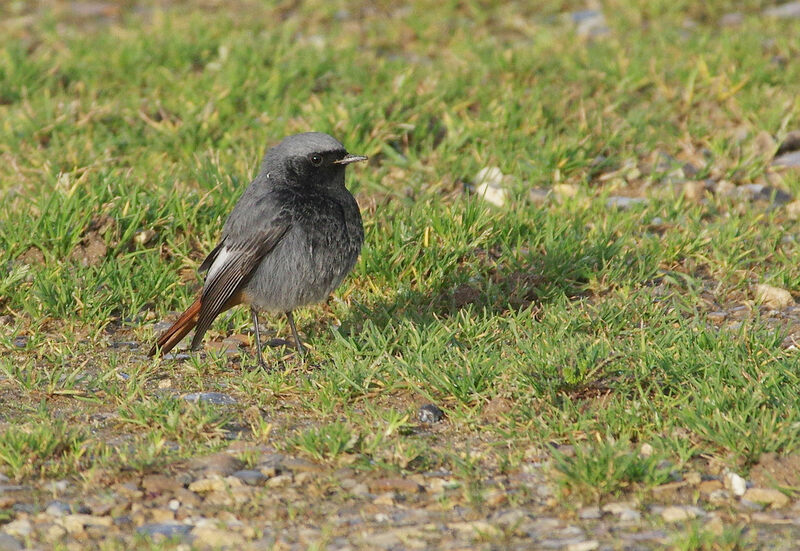 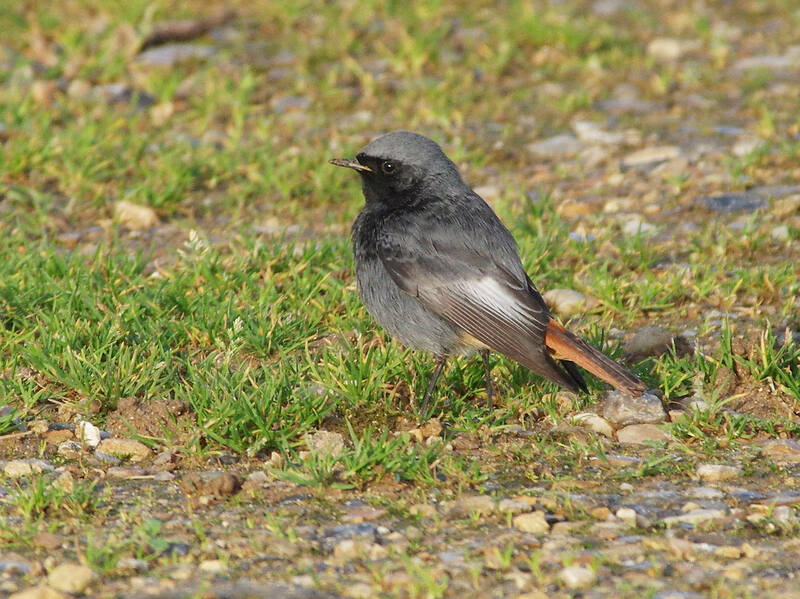 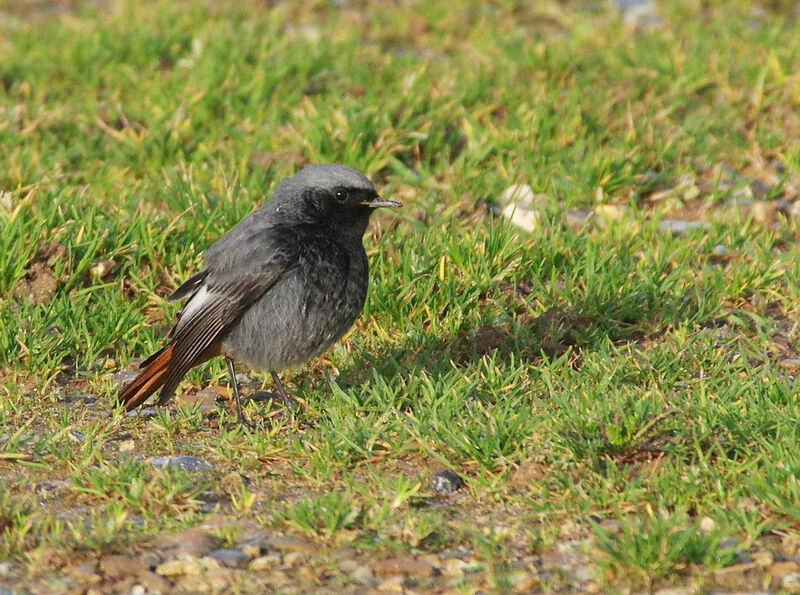 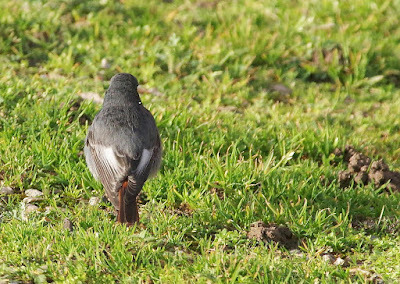 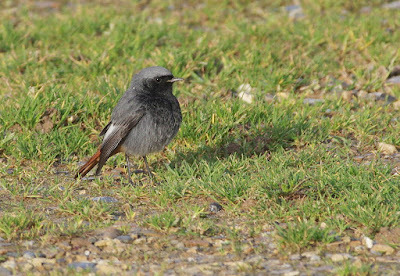 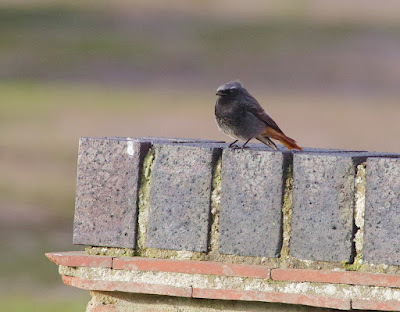 and were thrilled to see the Black Redstart just yards away on the wall around the RNLI car park. A few other birders / photographers turned up, but the delightful sprite was totally unfazed and performed beautifully. Everyone behaved impeccably and we were rewarded by very close views as the Black Redstart came within ten metres.